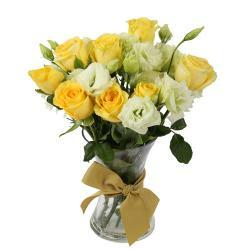 Exotic Pink Roses with imported fillers makes sensational flower bouquet. 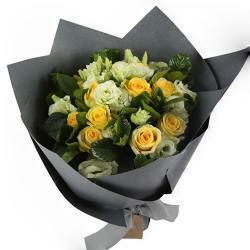 This bouquet is queen of every women heart. It is so popular because of its refreshing delicacy and cuteness. Whenever you search gifts for her it is perfect choice to win her heart. 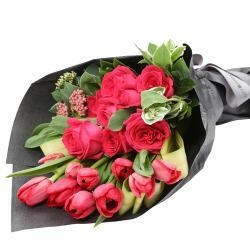 Everlasting and sensational gift of Pink rose bunch is sure to make your presence felt by your loved ones on any occasion like birthday, anniversary, wedding, missing you, thanking someone, to congratulate, Rakhi return gift, House warming, Baby shower and so on. 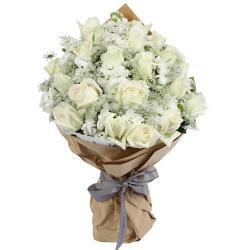 Giftacrossindia.com gives super fast delivery service in metro cities you can send Fresh flowers to Mumbai, Send Flowers to Delhi, Send Flower Bouquet to Kolkata, Send Roses to Pune. 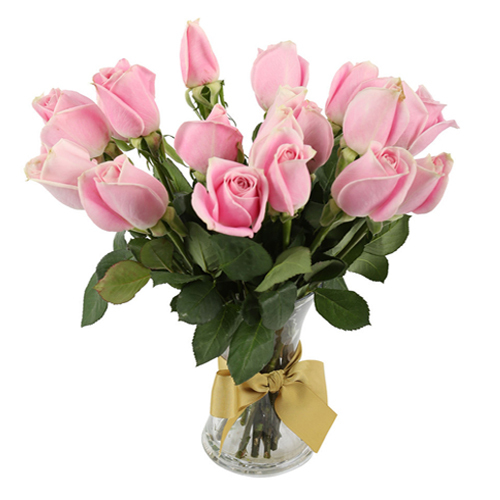 Product Details : 15 Pink Roses in Glass Vase.